Yes, I am holding a huge Chocolate Cherry Cake! If you attended this dinner please feel free to post your comments in the box provided at the end of this blog entry, thanks! We also delivered the first order to our new wholesale account here in Tucson last Wednesday, February 6th: La Mariposa Resort and Health Club. It is located on Houghton, over here on the east side. 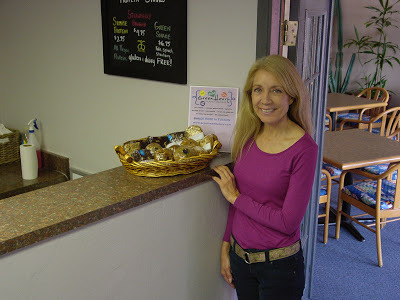 The manager, Francesca, wants to carry very healthy options for her members, and is very enthusiastic about carrying Greenheart Bakery muffins, brownies, bars and oatmeal cookies. If you're in the neighborhood, you can come in to the juice bar w/o being a member. 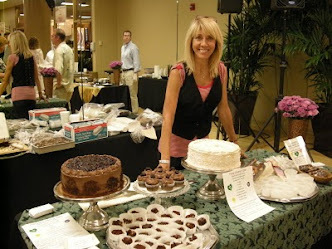 The past month has been a flurry with birthday cakes and wedding cake tastings. Thomas is a hairdresser at Wild Orchid Salon here in Tucson. 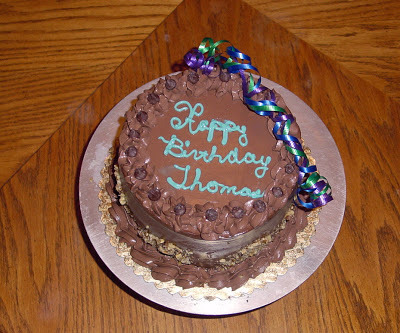 He ordered his own birthday cake, he said, because he wanted to make sure he got the cake he wanted and would eat. 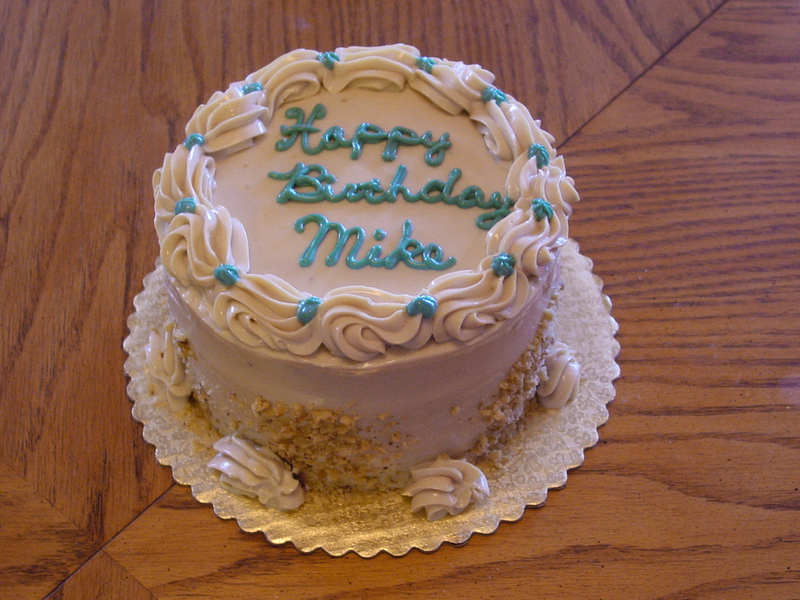 I delivered it to the salon for him, and he shared it with other staff and clients that day - and it was a hit! When I stopped by 2 weeks later, I was peppered with questions about how I had made it without eggs, dairy, fat, sugar or white flour. "But what did you use for chocolate?" I was asked. 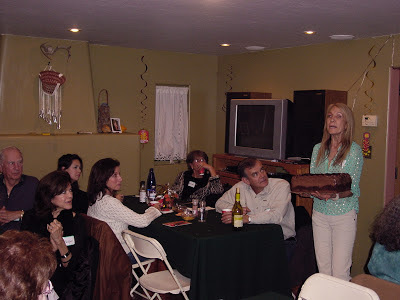 "I use organic cocoa powder from Peru that has not been alkalized - so it's real chocolate!" How can I say wonderful/amazing/stupendous/incredible/and fantastic in one sentence? Oh, I just did! Maggie and I enjoyed a delightful evening at Alaine and Ted's ranch. The stars were shining, horses grazing, our lovely hostess greeted us with tasty drinks and we feasted on the most delicious vegan fare in Tucson. If you haven't already experienced The Dining Club, better grab the next spot - or else we're going to! Thank you for a very special evening, one we will never forget. J.M, Tucson, Az.